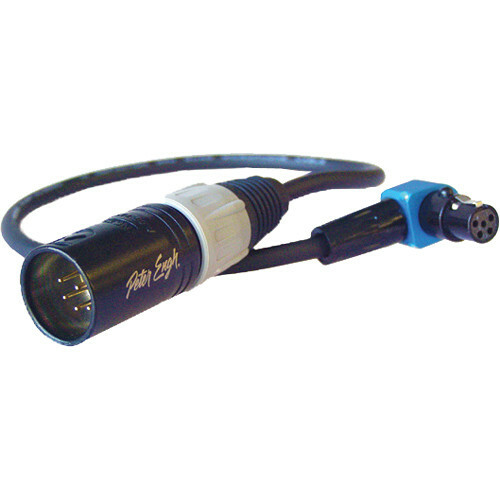 The 10” TA5F-RATPAC to XLR 7-Pin Male Cable System from Peter Engh is designed for use with the Lectrosonics SRA5P Receivers. It allows you to breakaway from a hardwire connection to the camera and quickly go wireless. This is all done in a snap by releasing 7-pin connections and re-connecting to an RF-2X at the mixer and RF-2R at the camera. The RF-2X connector works with all TA5-equipped Lectro transmitters (choose line or microphone level) and you have a choice of the RF-2R depending on whether you have a UCR- or SR-type receiver. Box Dimensions (LxWxH) 10.0 x 6.0 x 1.0"